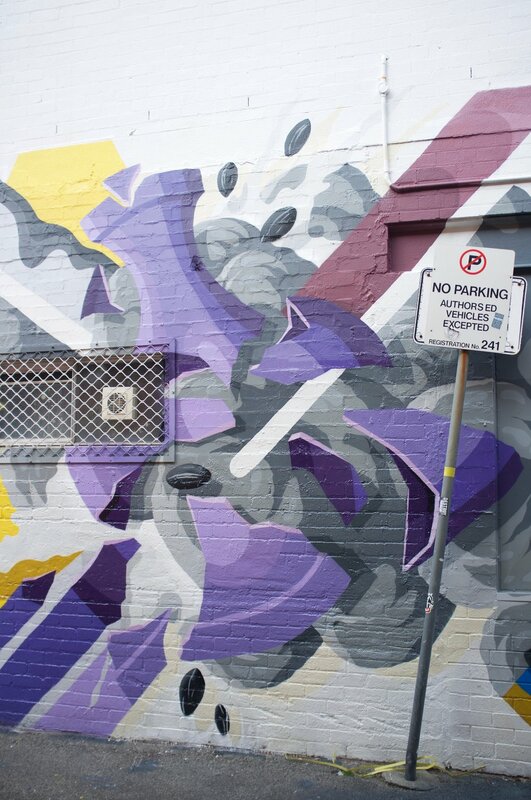 An Ode to Ai Weiwei is a mural painted in Perth's Chinatown district. I think Ai Weiwei has the same poke in the eye attitude to authority as many graffiti artists have and is one of my favourite artists, not for his aesthetic but for his concepts. So when I was approached by the MRA and FORM to paint a mural in Chinatown I decided to do "An Ode to Ai Weiwei". The work encompasses iconography and symbols from some of Ai's most well known works: broken vases, sunflower seeds, Lego and chrome tubing combined with some recurring themes from my work explosions, extrusions and geometric forms. If you haven't seen the documentary Never Sorry about Ai Weiwei I highly recommend it and I can't wait to see his new movie Human Flow about the global refugee crisis where he debuts as a director.